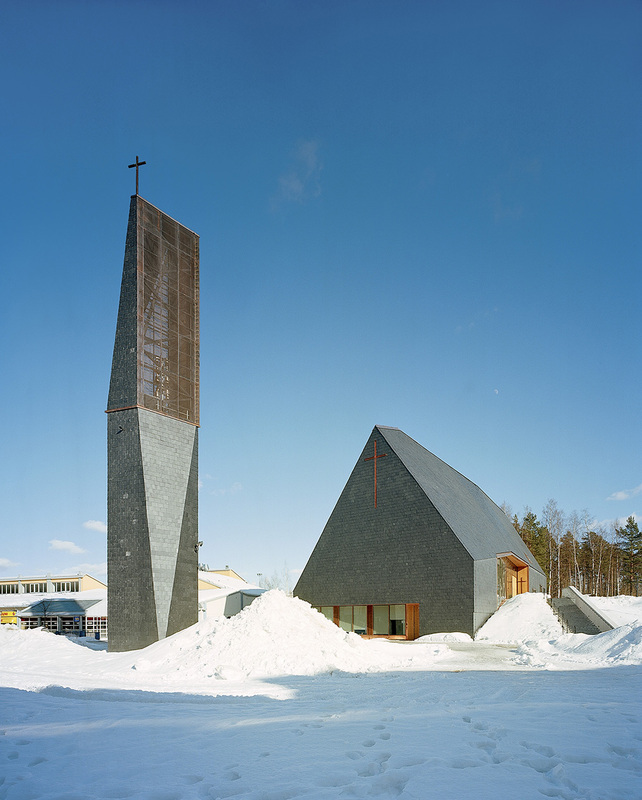 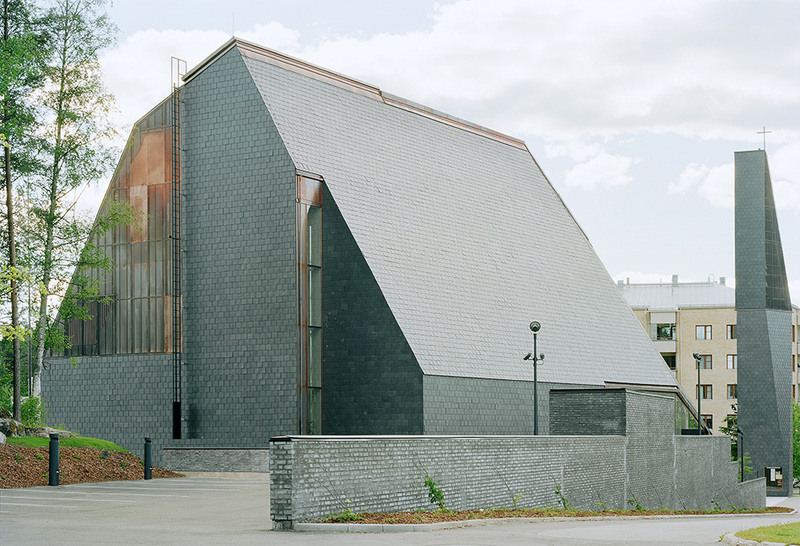 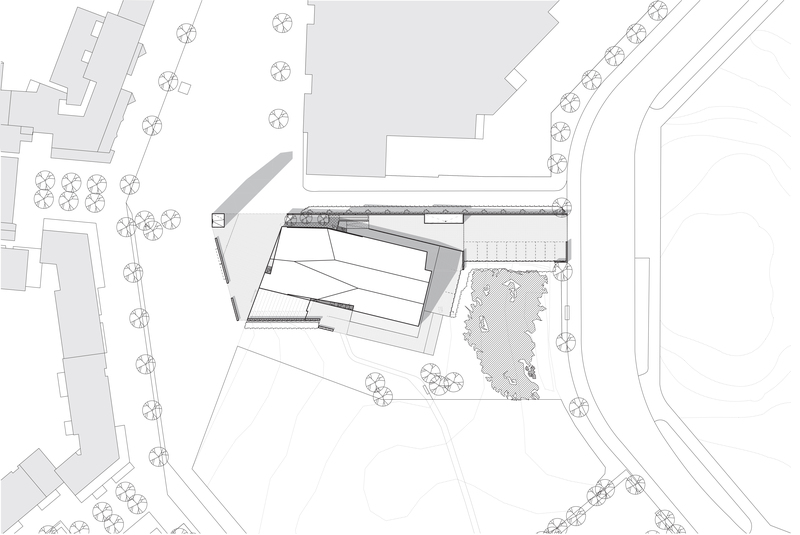 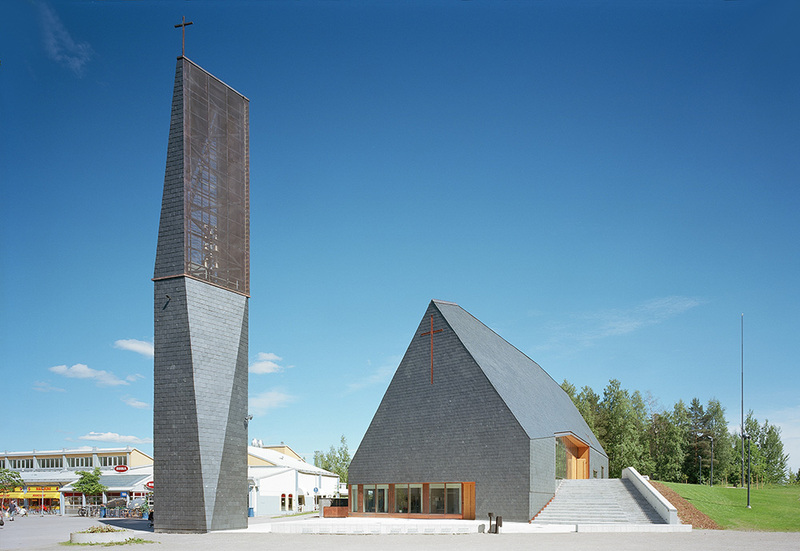 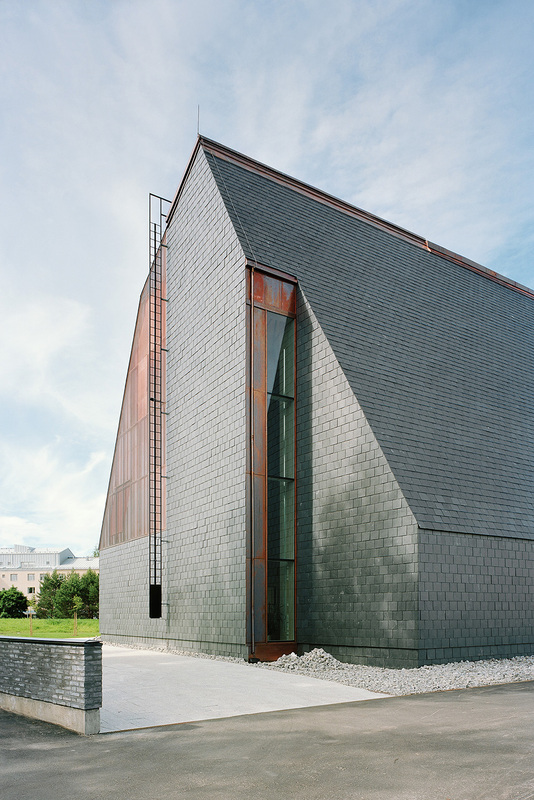 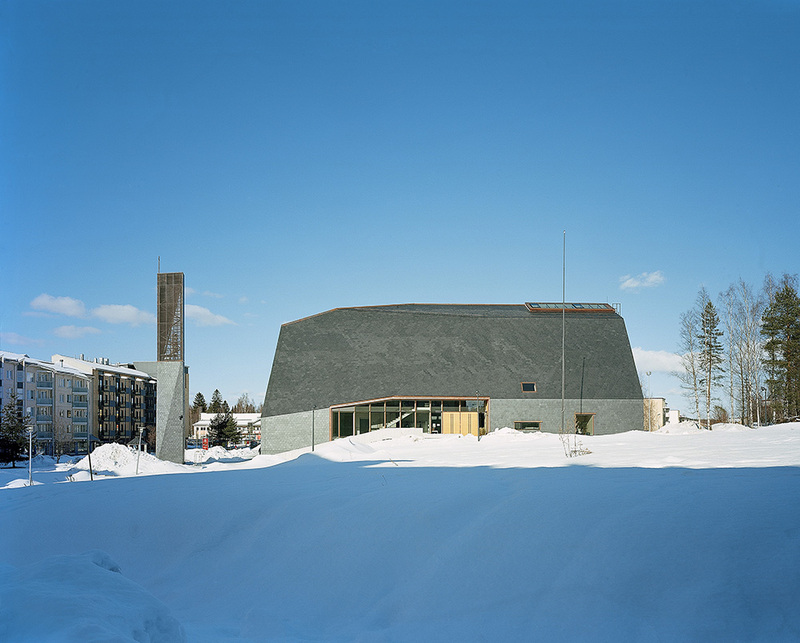 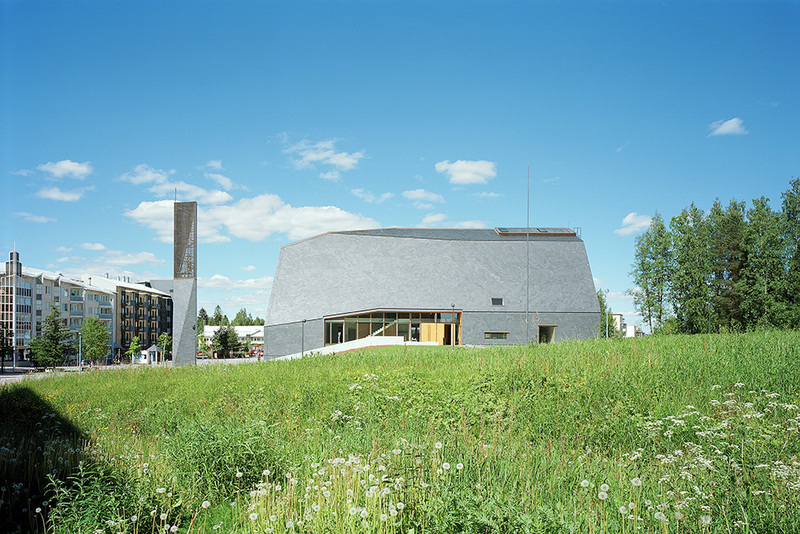 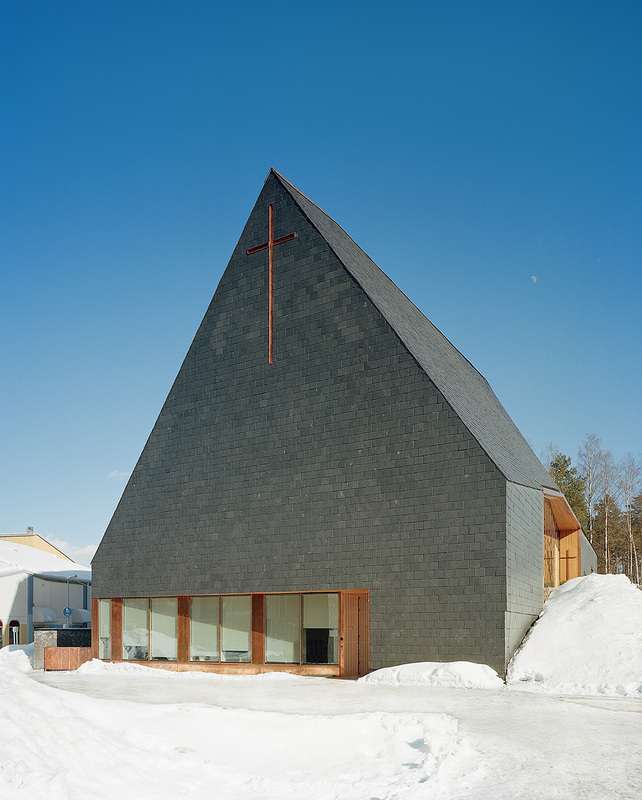 The commission for the Kuokkala Church was won through an invited competition organized in 2006 asking to design a building which could become a focal point of the Kuokkala suburban neighbourhood in Jyväskylä in order to foster the identity of the neighbourhood as a community of its own. 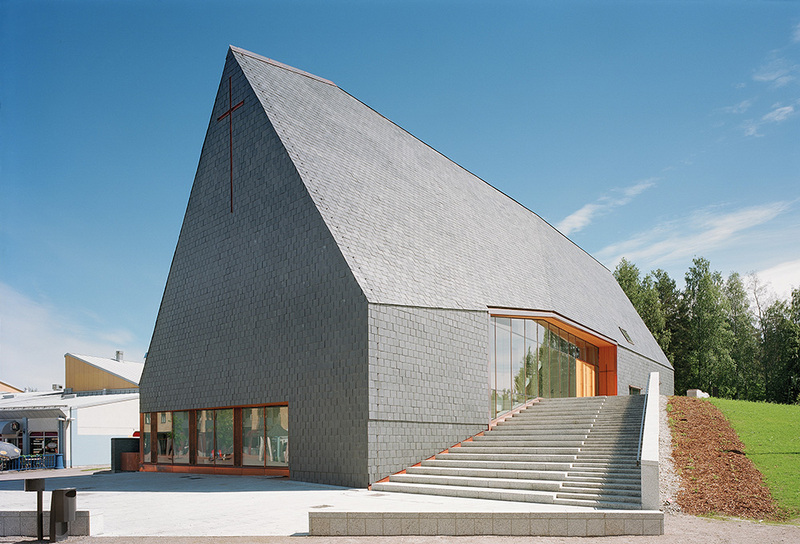 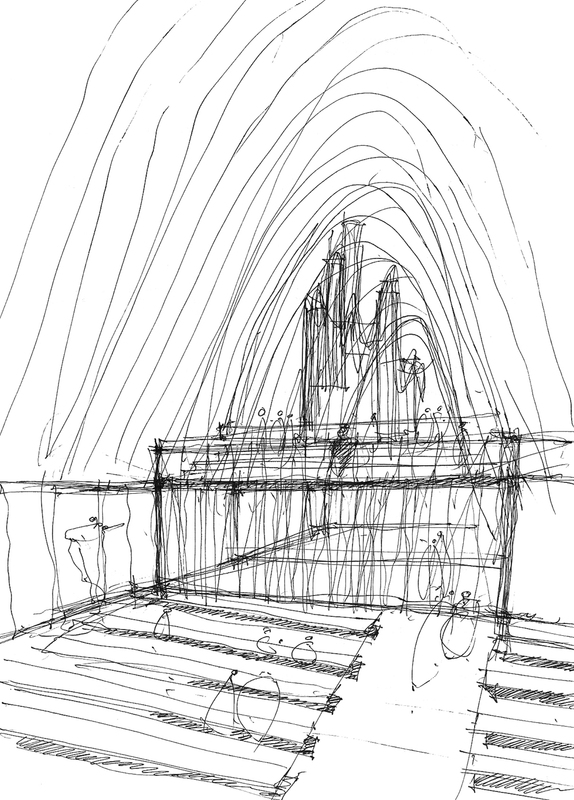 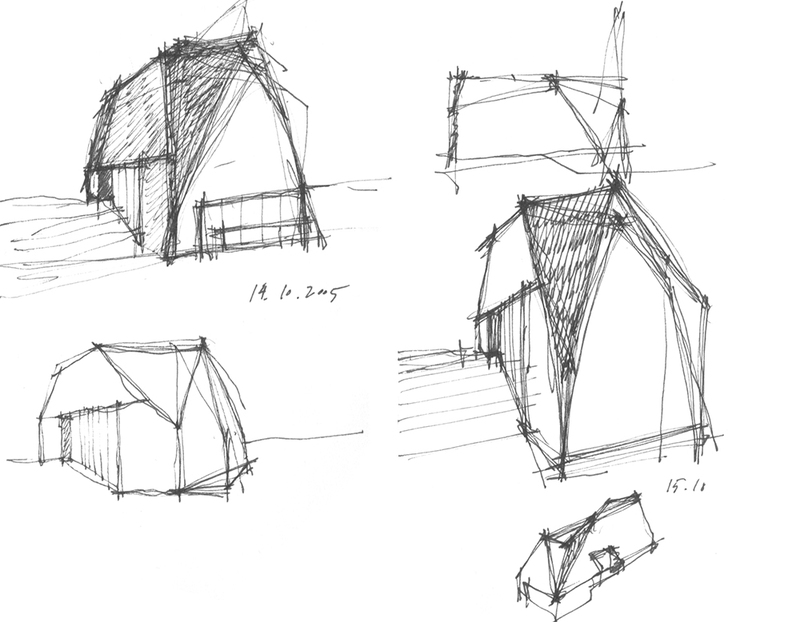 The competition brief asked for offering different functions for the parish, such as the church hall, the parish centre and a community centre, and joining them in an innovative continuum by arranging them into a structure with a strong recognizable shape, creating a “church that looks like a church”. 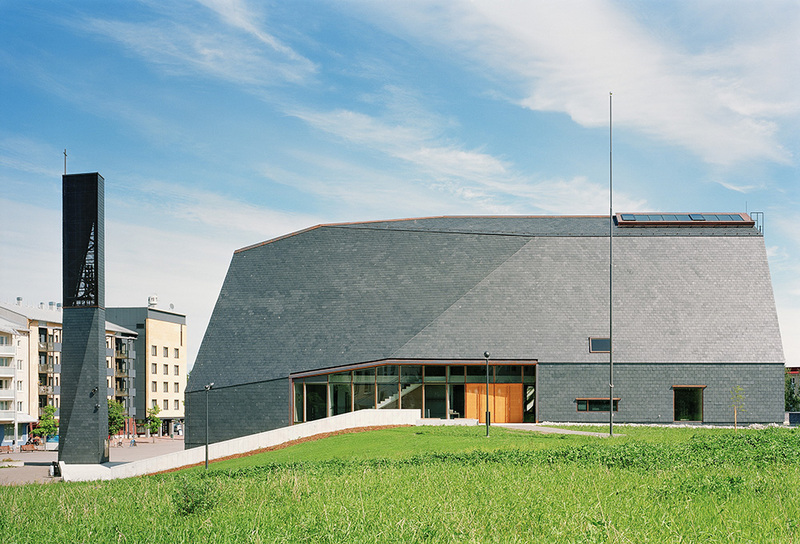 For the competition, OOPEAA, operating under the name of Lassila Hirvilammi at the time, submitted a proposal entitled KIDE. 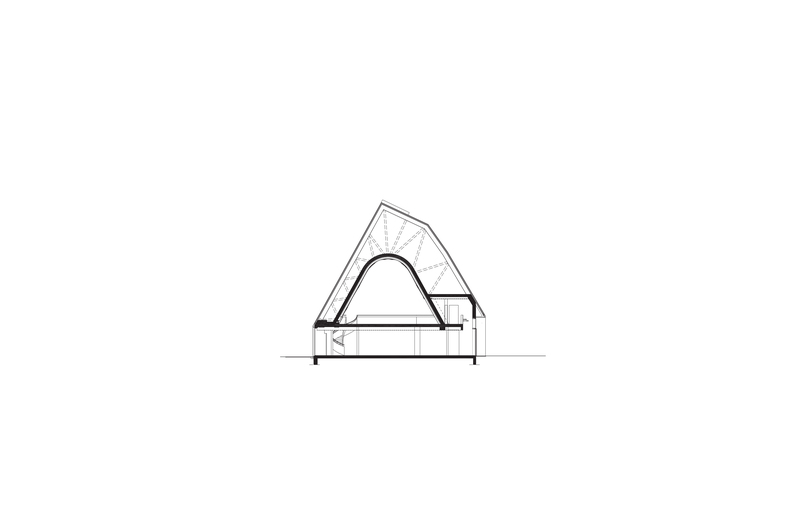 It was a sculptural building containing all desired functions within one single recognizable shape, contemporary, yet rich in historical allusions. 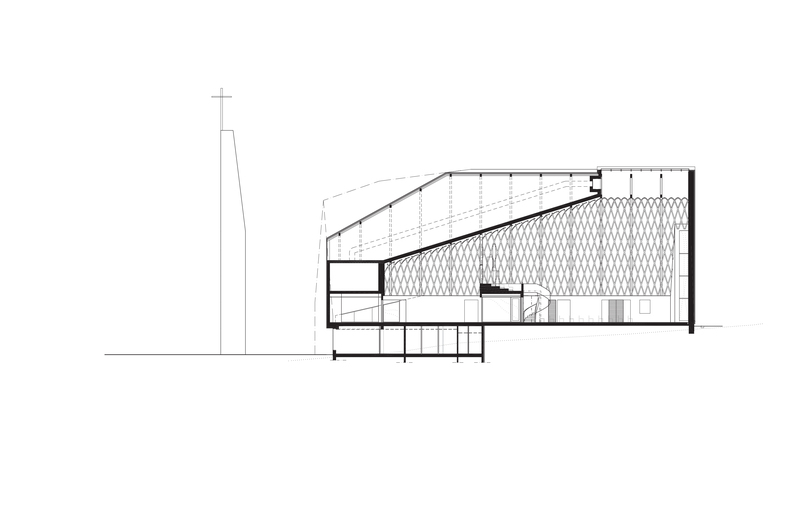 A dialogue of contrasts between the exterior and interior architecture is manifested in the material choices. 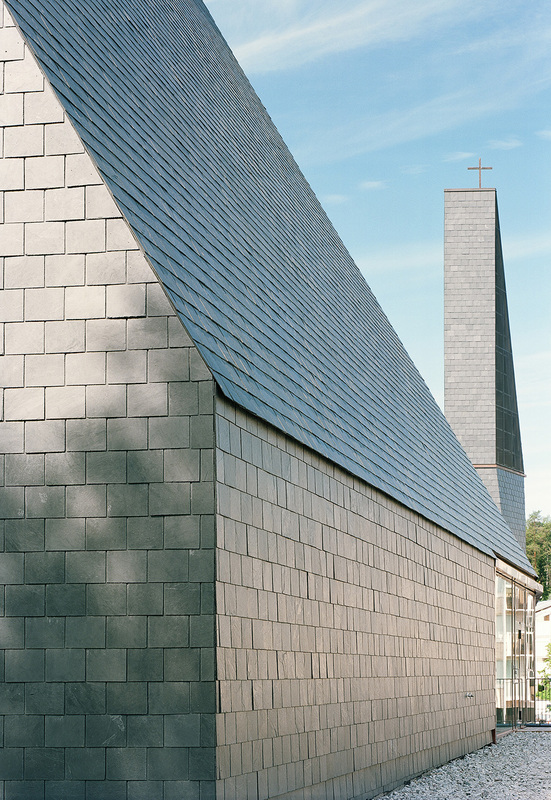 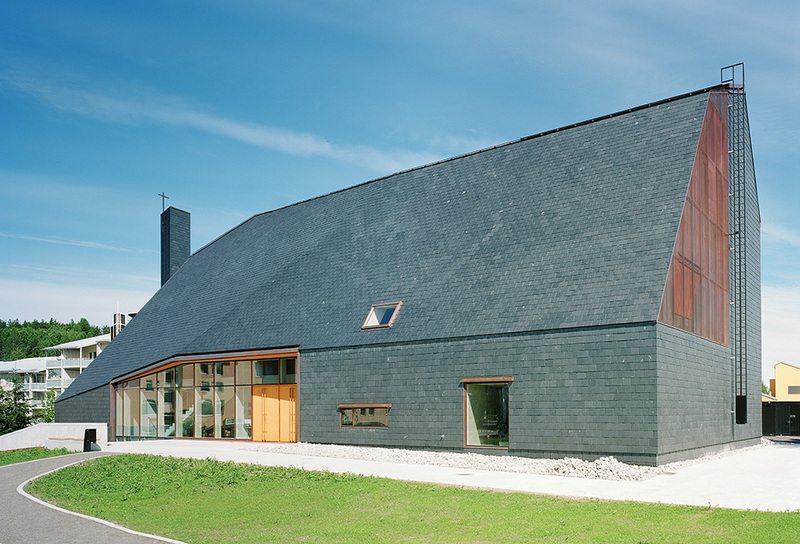 The roof and walls of the church are covered with overlapping tiles of Spanish slate, with wood and copper-covered entrance details that give the building a sense of warmth and scale. 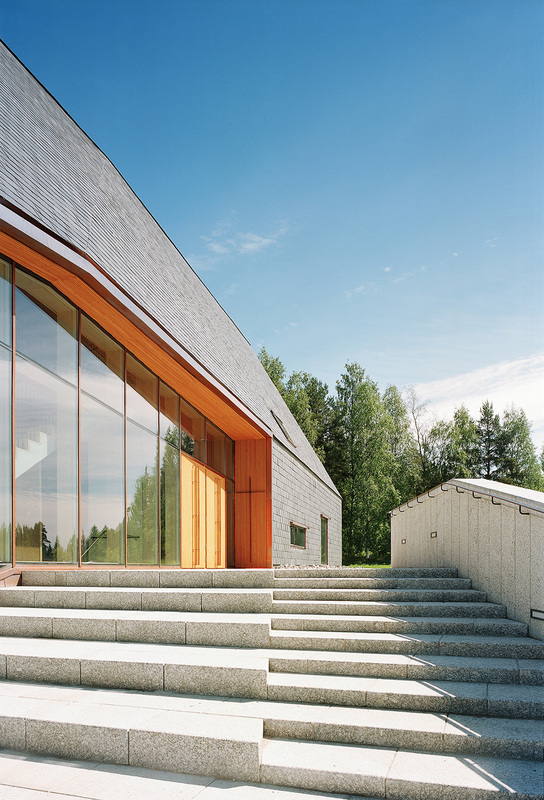 Other primary outer surfaces are clad in Finnish granite. 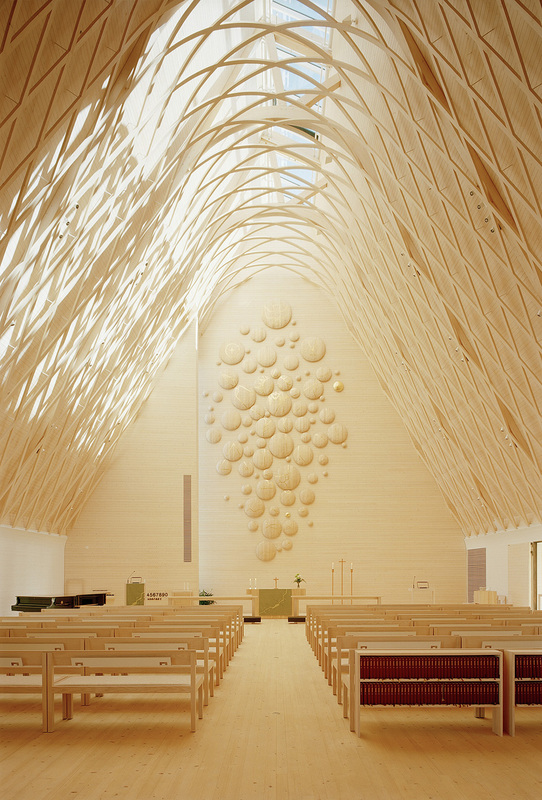 Wood, mainly Finnish spruce, plays a central role in the interior spaces creating a warm atmosphere. 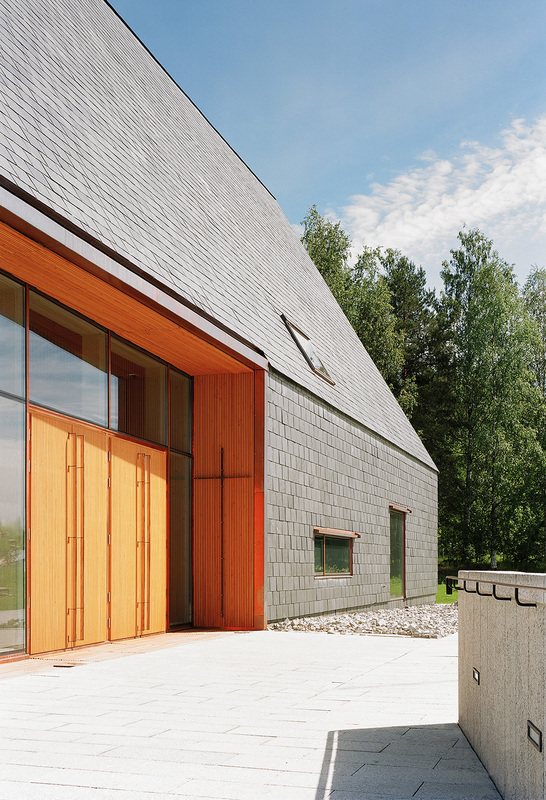 Ceiling and floors are made of carefully selected local radially sawn spruce. 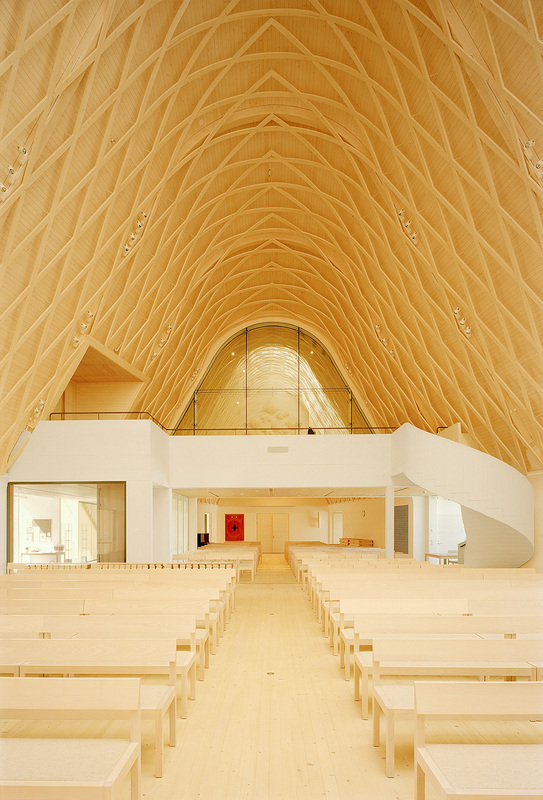 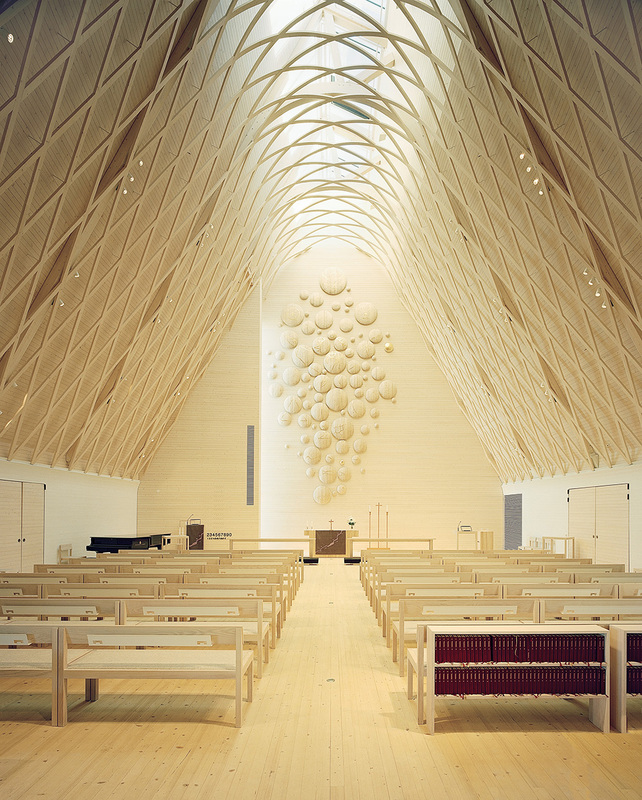 The church ceiling is a combination of glue laminated timber framing with a wooden grid shell construction that unites the sacral spaces into one entity. 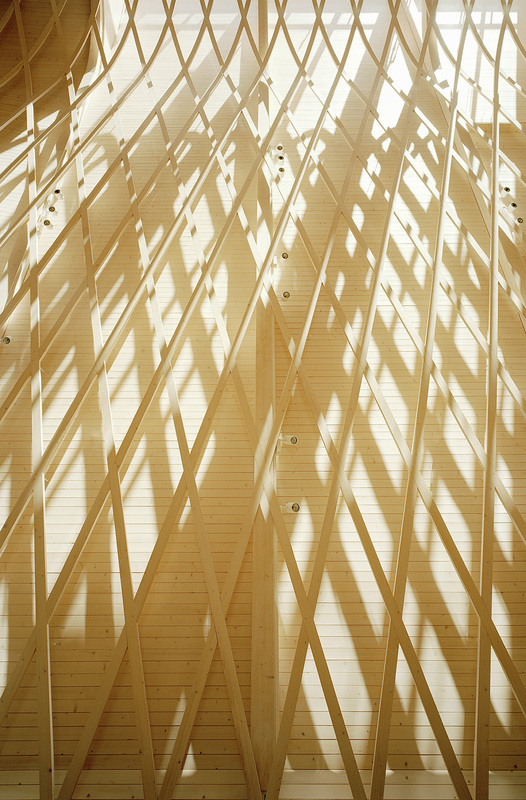 The shape of the interior wooden grid, fixed on the primary structure, recalls Gothic cathedrals and relies on the knowledge of the masters of handcrafted building methods. 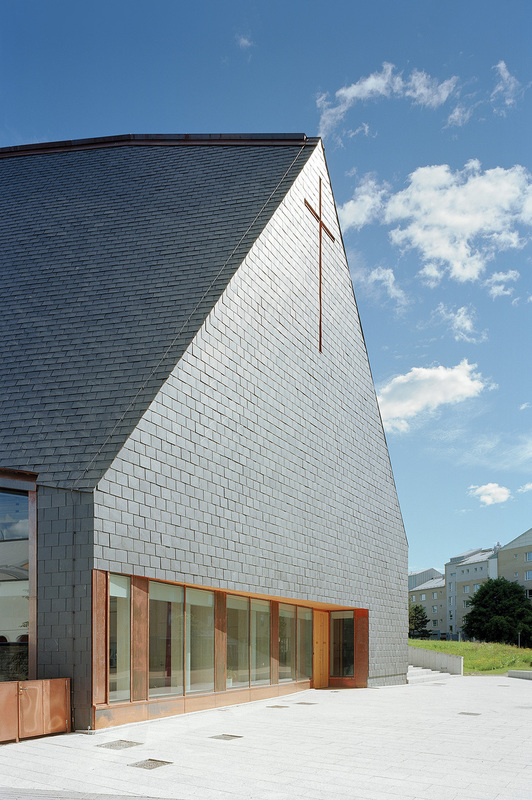 The church and parish meeting halls can be combined into one large sacral space with adjoining youth facilities. 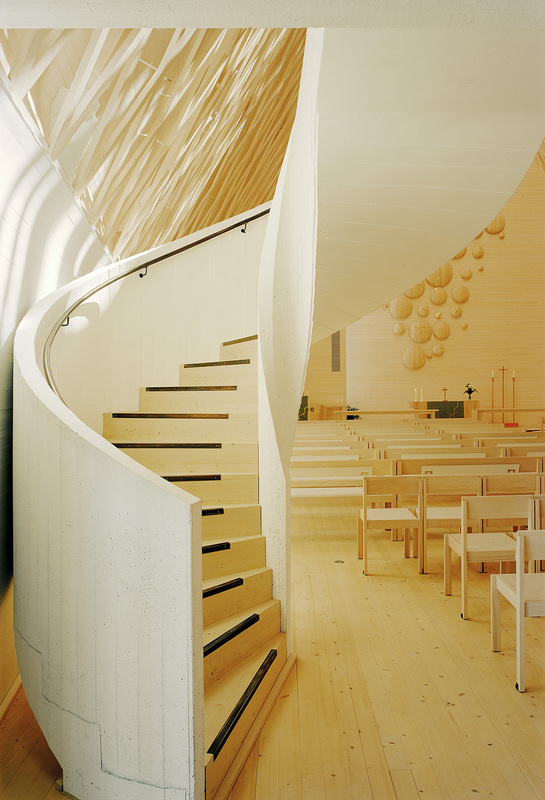 A gallery between the halls houses the organ and the cantors’ offices. 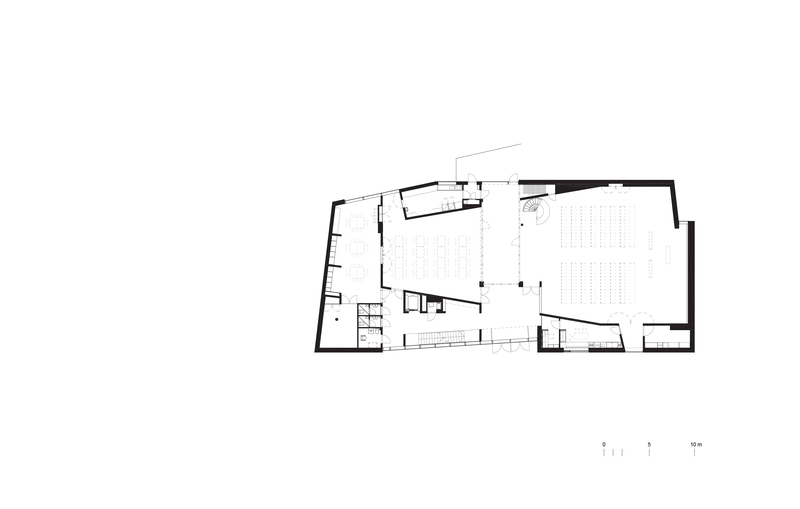 The sacral spaces are placed in the middle of the building and the service spaces (sacristy, storage spaces, kitchen, lobby) are located in a zone around them.